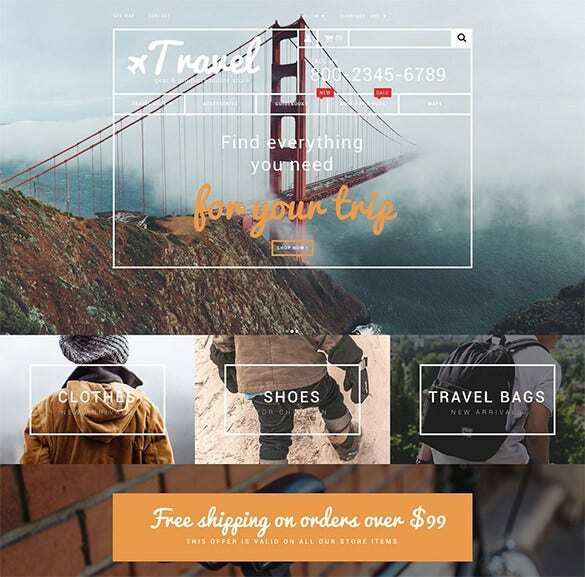 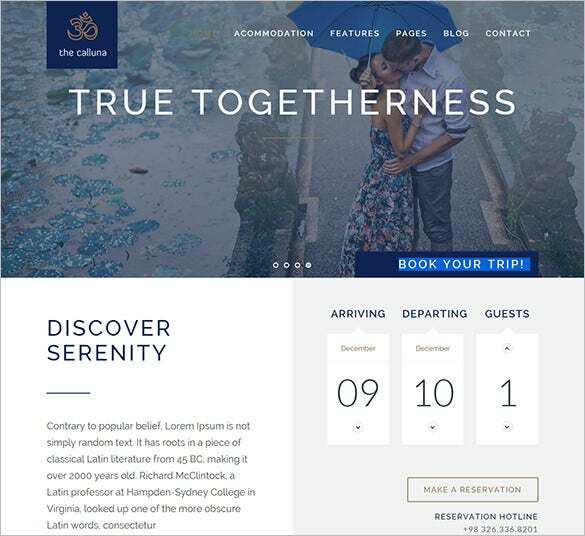 These themes and templates are a must for travel-related ecommerce sites. 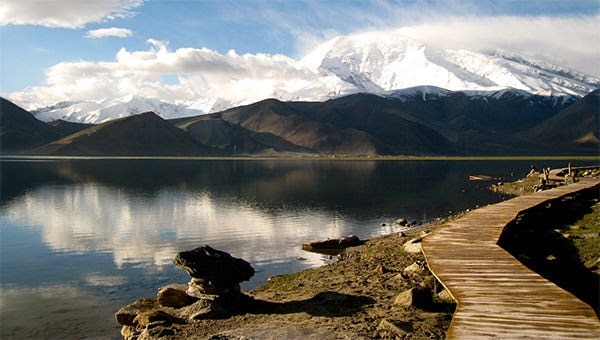 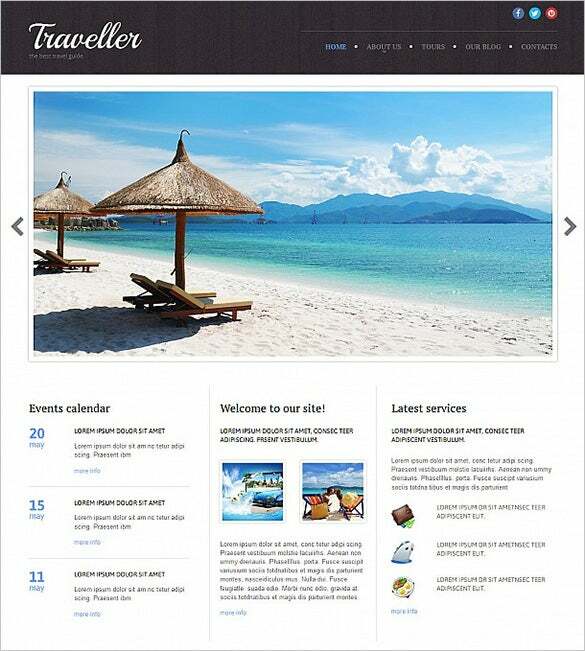 They are compatible with all the latest browsers and HTML 5 CSS3 free web templates can be used for all travel websites. 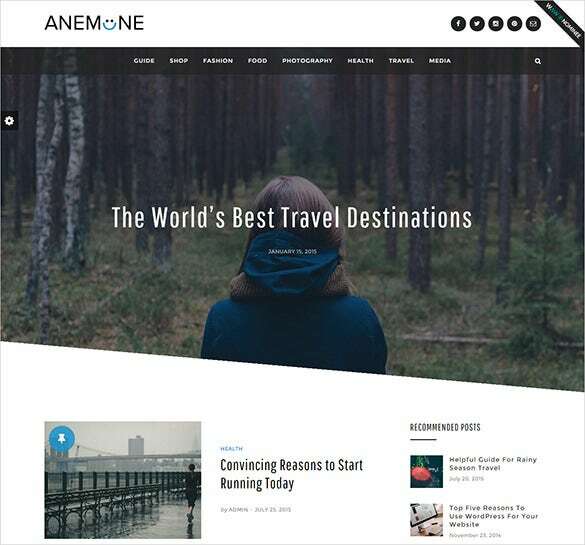 These 4 columned premium themes include files like HTML, CSS and JS. 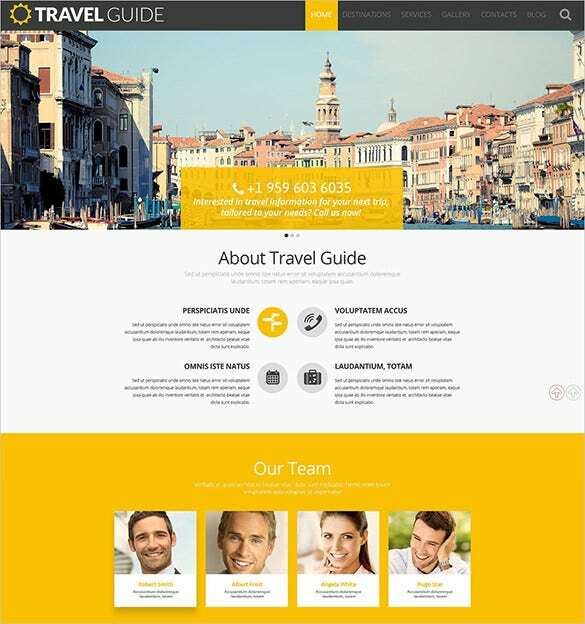 Even the layout is quite stylish and responsive.You may also look Travel WordPress Themes. 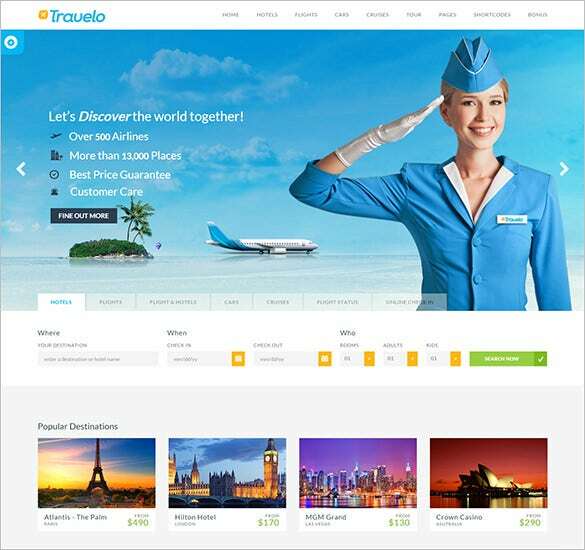 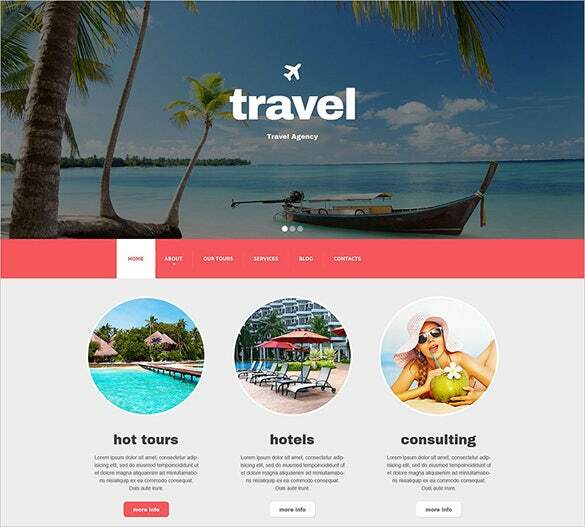 The travel agency responsive drupal HTML 5 theme is a very well structured and designed travel HTML 5 theme template that you can use to design your own travel website. 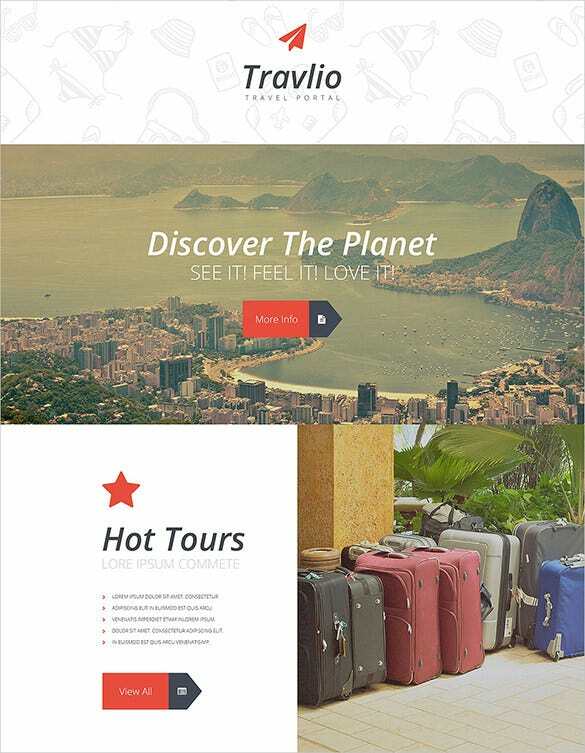 The love travel HTML 5 template is a simple and beautifully designed travel HTML 5 theme template that you can avail for only $ 17. 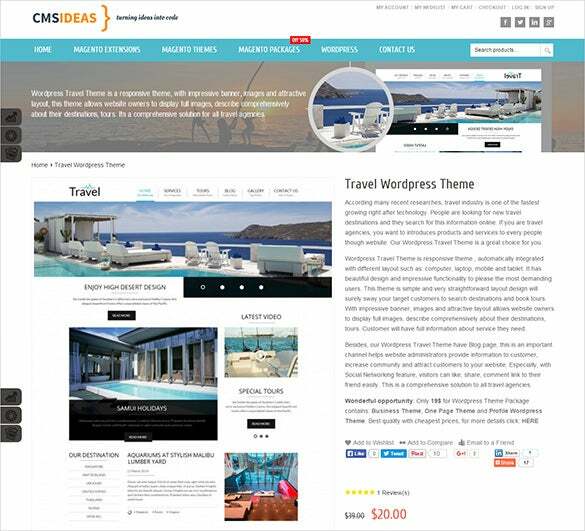 Learn about the features by clicking free demo. 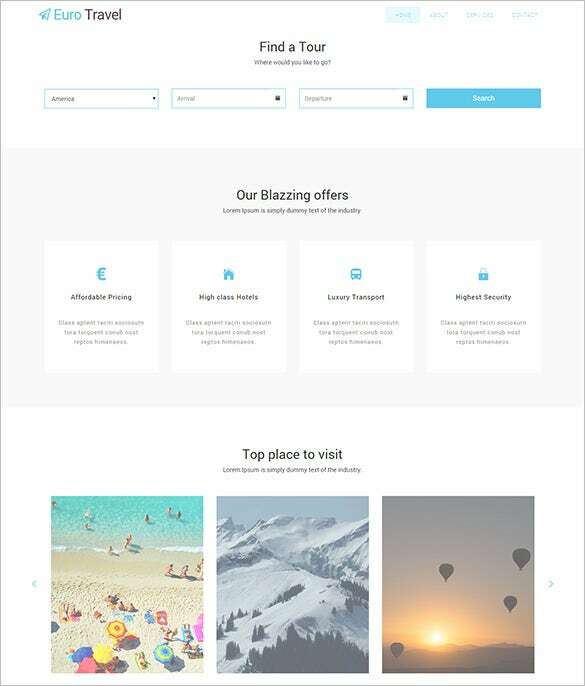 The holiday travel word press HTML 5 template is an elegantly designed travel theme template that uses big thumbnails to display the various pictures and contents of the website. 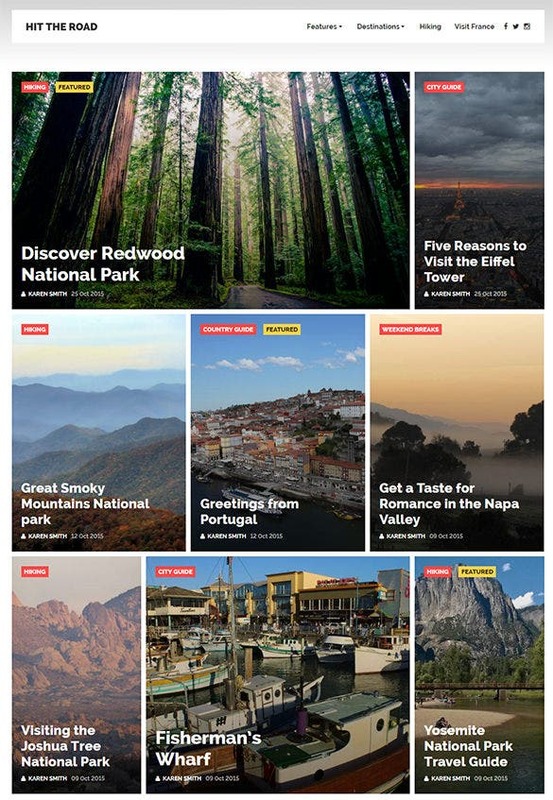 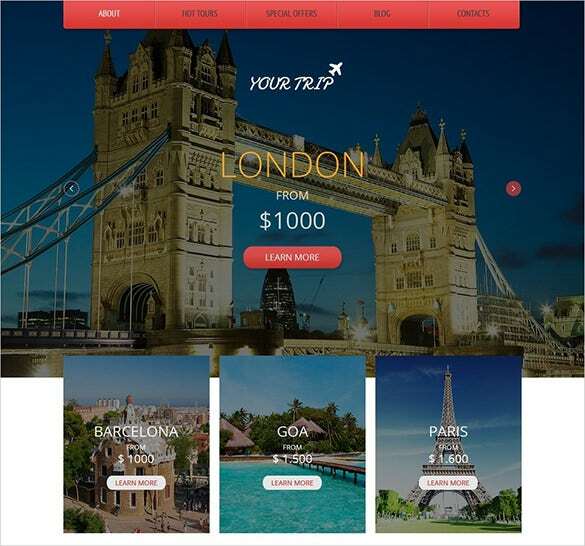 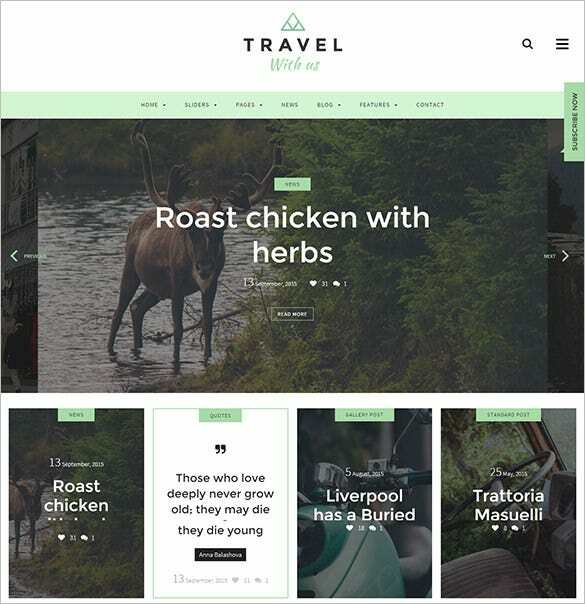 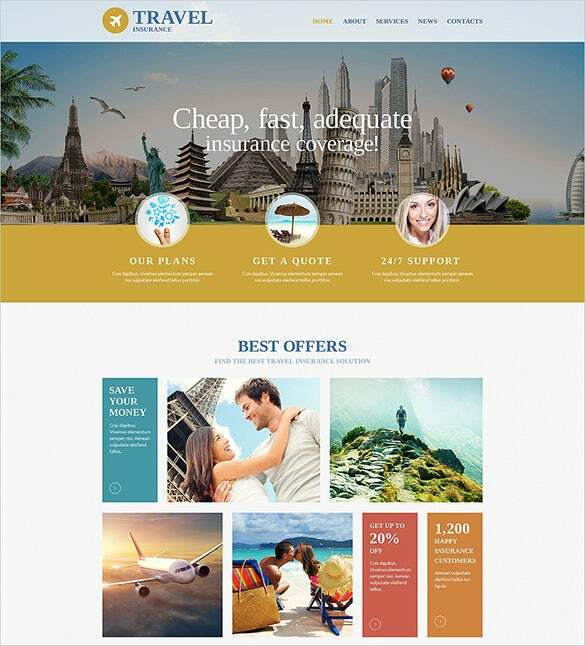 The travel magazine word press HTML 5 template is a beautifully designed travel theme template that uses superior visual effects and various HTML 5 elements to create the perfect theme. 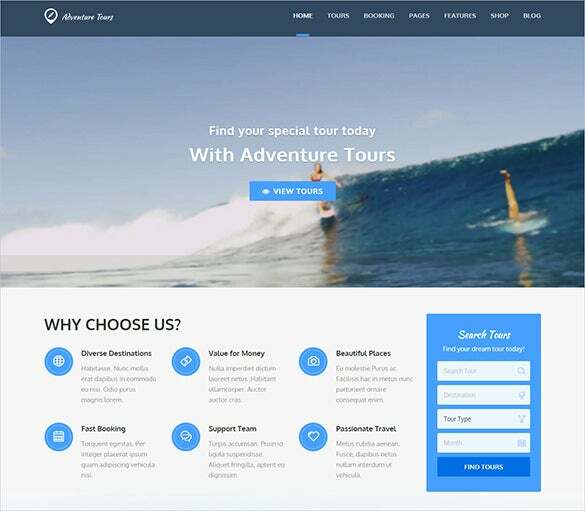 The travel agency responsive moto CMS 3 HTML 5 template is a beautifully and elegantly designed travel HTML 5 theme template that uses a light background to display the website contents. 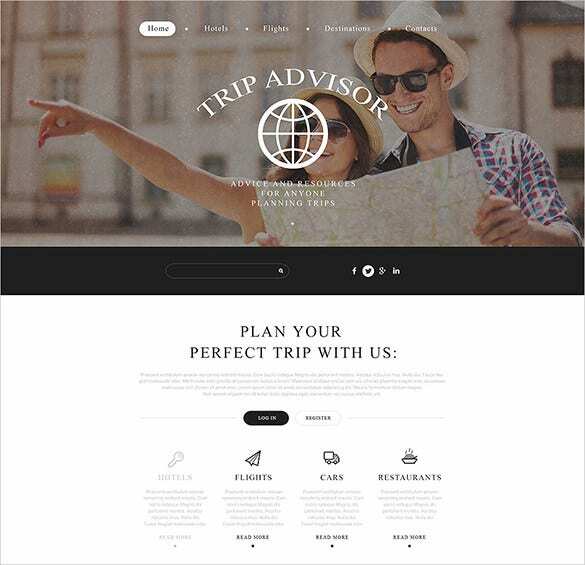 The superb travel word press blog HTML 5 theme is a well created travel HTML 5 template that uses different colors and light background to create the perfect travel website. 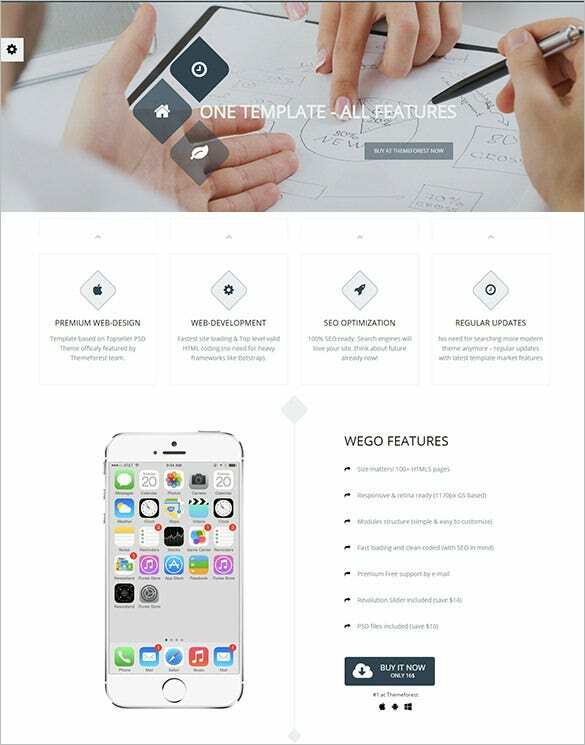 These themes and templates are also well documented so you can easily go through these documents and then make a choice. 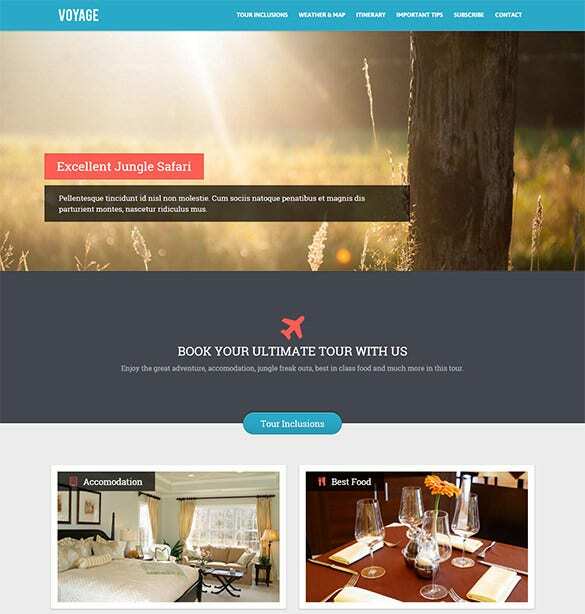 The demos available are easy to download and customise as per the need.